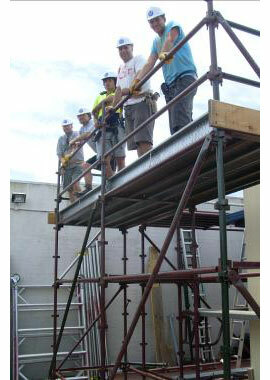 A basic scaffold ticket is required to erect any modular system where a person or object could fall more than 4.0 metres. 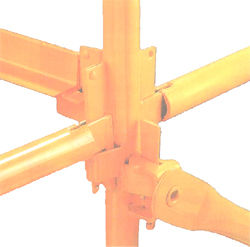 A basic scaffolding ticket enables a person to erect, alter and dismantle any modular or prefabricated scaffold system, e.g. aluminium mobiles, steel modular, Kwikstage and Cuplock. The maximum height a scaffolder with a Basic Ticket may build a modular scaffold would be the maximum height as specified by the manufacturer of the particular scaffold being used. Your High Risk Licence is recognised nationally, we are WorkSafe and Australian Quality Training Framework (AQTF) compliant and are a Registered Training Office (RTO). Once a course is completed your Notice of Assessment must be lodged at a Victorian Post Office within 60 days at cost of $64.00. This assessment summary then forms your interim ticket until your licence arrives in the mail. Cost includes tool belt, tools, hard hat, gloves and safety vest for the duration of the course.